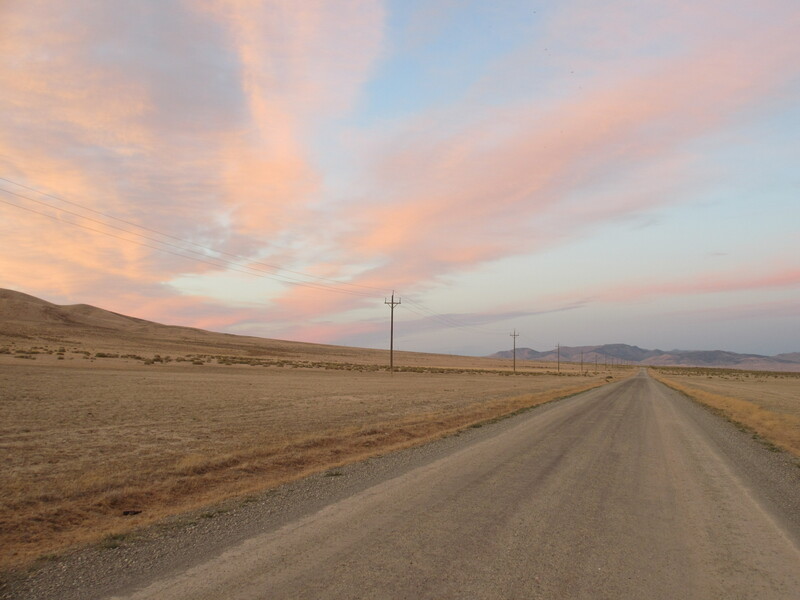 This dusty pink sunset floats like gauze above a lonely stretch of desert road. Gorgeous color and a nice stretch of road! Thanks! How are things going? Did you ever pick up that satellite phone? Not yet. It called the Spot. It’s mostly for SOS type calls. After all my Moab area posts I’m a bit behind in blogging. Working on new posts now. Love your blog, great work. I’m gonna be seeing this soon… By the way, I love your blog title. Reminds me of a Christian song that I really really love ! Are you headed for the desert? You’ll see some beautiful desert there. Happy trails and God bless! Your photos are wonderful. Keep on keeping on! Thank you! I’m pleased that you enjoyed them. Amazing! I think it’s awesome to travel on that road to desert… thanks for sharing! I would like to contact you regarding commercial use if this picture. I wasn’t able to find any email address where I could contact the owner of this photograph. Is there any way I could get in touch with you?